This entry was posted in Writing on January 1, 2015 by Matt Maynard. So: way back in 2009, I had this idea kicking around in my head that I could write a story about a continent that boils up in the middle of the ocean and does two things: throws out every rule of geology, provide a haven for people who love freedom to escape totalitarian governments, and show what governments would do in such a situation. Yeah, sure. Three days later I’d recorded 500 words and decided to quit before I made a fool of myself. I shelved the project and somewhere along the line came up with the idea for Dragonslayers. That one worked out, as did the projects in 2011, 2012 (The Continent, completed this time), and 2013. 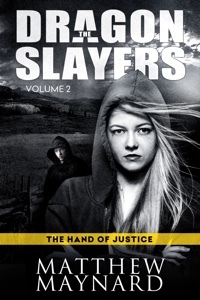 Last year was the first draft of Dragonslayers 2: The Hand of Justice, which has been in revision ever since. I’m hoping to complete it by March, and would like to launch it during the week of the Virginia Festival of the Book. By the way, if you want to take part in the early bird beta reader program, you have to be part on the mailing list. Anyway, this year’s NaNoWriMo project is Dragonslayers 3 (Insert subtitle here). Let’s just say this year’s project is off to a better start than 2009. 5014 words the first day, and 5020 the second. So yeah, it’s going well. Ten times the performance of the first time I tried it counts as a win in my book. This is the first time I’ve been significantly ahead since I started the program, and the first time I’ve been projected to finish early before I reach the halfway point. Right now, I’m headed for a finish on or about November 20th. After that, I’ll go back to work on DS2 and finish that up in time for editing and cover design by the end of the year – hopefully. So if you’re feeling like you can’t do it, trust me, you can. I know, I’ve been there, and I’ve gotten past it. 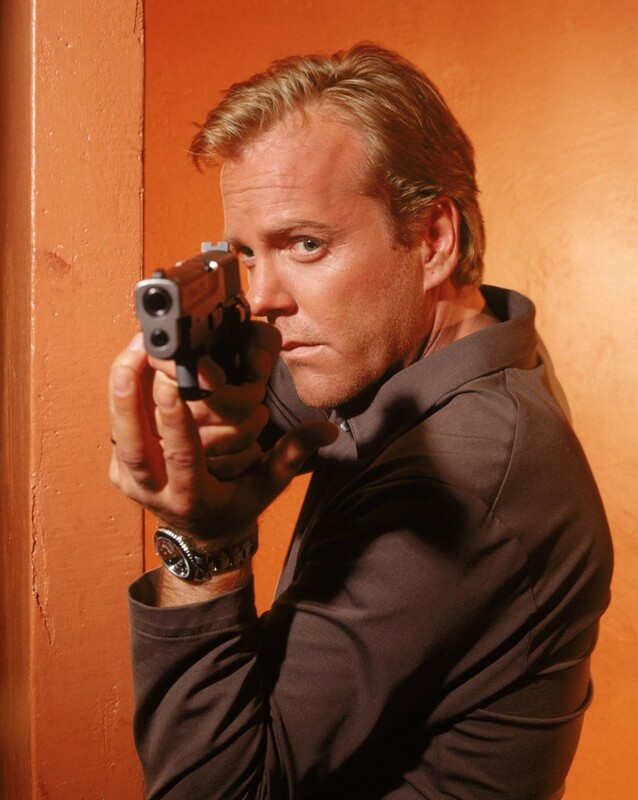 They key is to make Jack Bauer your muse and just write. Save the editing for later, there will be time. This entry was posted in Writing on November 9, 2014 by Matt Maynard. Well day to day I’m in my blue dress uniform a lot, so I don’t try to put anything in those pockets besides a pair of keys and a thin wallet. When I’m in the field there’s always some piece of equipment or a rifle magazine or something, usually a map. Do you ever have concerns that when you’re defending America, you’re defending good and bad people and ideas you may not agree with? I’m tenacious. There’s a part of recruit training where you run into this circular arena and pummel a fellow recruit with a padded stick. When I joined the Corps, I made it to this particular training but I was really tired from the previous evolution, and I got into the arena second. The other guy was waiting for me, and believe me, he laid into me good and hard. I ended up on the ground but I kept blocking his blows, and eventually made it back to my feet and pushed him up against the wall and ended up bloodying his face pretty hard. I got a good chewing out for that, since we weren’t supposed to knock each others headgear off, but like I said, I’m tenacious. It just sort of happened, and I was in the moment and just kept going at him. Of all the places you’ve been in the Marines, where would you like to revisit? Well that depends, am I visiting for a deployment or a vacation? I always liked the views over the ocean when I was deployed aboard the amphibious carriers, so I think a sailboat trip would be nice. There are also some places in California and Colorado I’d like to visit, and my wife and I would like to take a trip to Europe some day, maybe. Duty, honor, country. I know it sounds canned and stereotypical, but its true. Some people would put family in there, and I get that, I love my family more than anything and anyone but God. But I have a duty to God and family and the Constitution, so if I always keep duty foremost in my mind, I’ll take care of all three while preserving my honor and defending my country. It comes down to a balancing act. What has your cancer diagnosis revealed to you about yourself? Um, well, it’s been just a week, so … ah. Well, like I said, I’m tenacious. I know I’m going to beat this, despite the odds against me. I guess I’ll find out soon enough. This entry was posted in Writing and tagged Dragonslayers 1 on May 8, 2014 by Matt Maynard. There is an excitement at Manassas, a cramped-ness at the Little Round Top, and a simplicity at Appomattox that cannot be experienced without being there in person. I’ve been to all three, and the experiences have taught me something about writing: you have to go to your setting to understand it, and you can’t describe it without understanding it. Knowledge leads to understanding, which leads to descriptions that live in the reader’s mind, not just on the page. The Manassas battlefield is small enough that you can walk the trail for one of the battles (there were two at the site) in a day. It is a bit of a hike, and you need to be in good shape and know where you’re going, but it can be done. The first place you start at is actually the end of the battle, where the visitor center is located. Looking out across the expanse of the hills on which the first battle was fought you get an idea of the scale of things in that day, and how large the battle was. But at the same time it prepares you to realize just how small the engagement was, relative to what was to come. A quick trip down to and across Bull Run Creek where the Union crossed and you find yourself emerging on the other side of the battle, behind Union artillery emplacements. Captain Imboden’s Confederate guns are barely visible from here, but you tend to forget them as you wrap your head around the scale and start to realize that what was once strictly the realm of artillery is now considered a standard sniper qualification range. It’s a long way from Matthews Hill to Henry Hill, but not that long. At Gettysburg the close quarters of the Little Round Top belie the scale of the battlefield and the impossibility of touring the entire place in one day on foot. The lines of battle for both sides stretched literally for miles and were separated (at times) by miles, yet were still easily visible to each other. The scale of the engagement in Pennsylvania is enormous, but what is most interesting is that the Union victory was possibly sealed on a hill the size of a tennis court. This is a remarkable conclusion to draw for such a large battle and such a small space – it could be a tennis court in another setting – but nevertheless, many historians (but not all ) have reached that conclusion. Roughly one hundred men were crammed shoulder to shoulder into a space normally occupied only by squirrels and strewn with boulders, but it would become the setting for a battlefield maneuver still studied at West Point and other institutions that teach the art of leading men into the jaws of death. Appomattox is the simplest of the three sites, consisting of little more than a small preserved village from before the electrical age with an attached parking lot and National Park entrance gate. There are two main buildings and several smaller ones, all connected by dirt pathways that serve as reminders of simpler times as well as foot-roads. It is walked in an hour with more time standing still and pondering the events and men that came here in April 1865 than spent actually walking. The room in the McClean house where the surrender took place is small as well; if Grant brought half his staff there would have been little room for Lee and his adjutant as is commonly depicted. But it was sufficient to hold the sentiments of the men involved and the words they left behind for us, as well as the rebirth of the nation and the good and bad that came with it. Of course, walking the grounds does little to help if your story is set on the moon or some other country or some other planet, but that’s what historical records and your imagination is for. This entry was posted in Writing on May 5, 2014 by Matt Maynard.